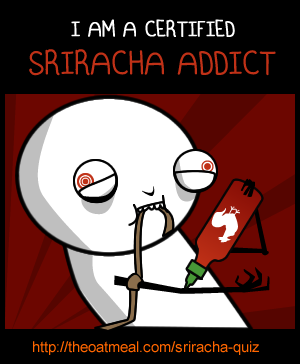 How addicted to Sriracha are you? this would taste better covered in Sriracha? When you eat food without Sriracha, do you feel like you're not experiencing your meal at its full potential? such as pizza or hamburgers? 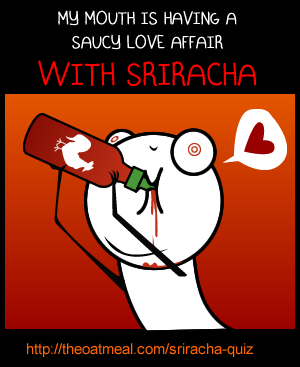 Have you ever given Sriracha a nickname? Do you encourage / annoy your friends by suggesting they try Sriracha? When you add Sriracha to your food, how much do you typically add? When someone uses Tabasco, do you pity them? Have you ever used Sriracha to make your food really spicy to prevent a friend or loved one from eating off your plate? Have you ever had pho (Vietnamese soup) WITHOUT putting Sriracha in it? No. Pho and Sriracha are like star-crossed lovers and you cannot deny destiny. Yes, I tried pho without Sriracha once but eventually came crawling back from my precious rooster. Yes, and I don't like Sriracha in my pho. Do you put Sriracha on your eggs in the morning? How do you feel when an asian restaurant doesn't have Sriracha on the table? THIS IS AN OUTRAGE. I DEMAND THE DELICIOUS ROOSTER. Have you ever put too much Sriracha on your food? What the hell is this 'too much Sriracha' you speak of? 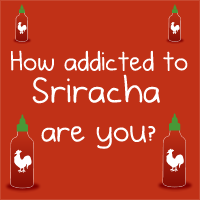 You are addicted to Sriracha! 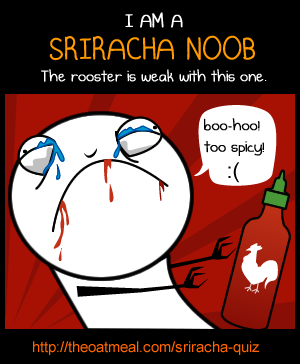 This makes you a Sriracha noob. This makes you a certified Sriracha addict! 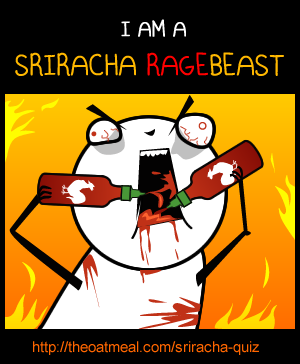 This makes you Sriracha RageBeast! 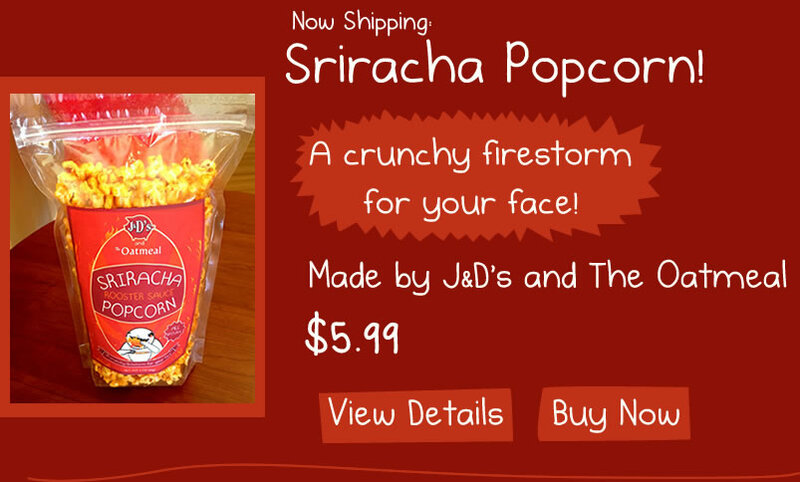 Your mouth is having a saucy love affair with Sriracha! Sriracha gives you zesty mouthboners! 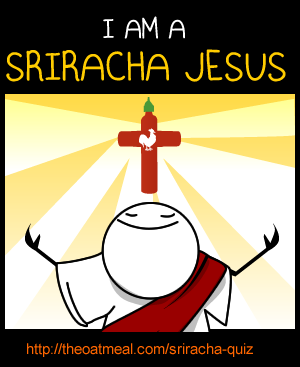 This makes you a SRIRACHA JESUS! 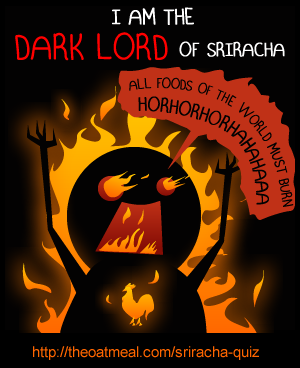 THIS MAKES YOU THE DARK LORD OF SRIRACHA! All the foods of the world must burn.